Home — All Essay Examples — Law Essay — Is it necessary for a Country to be governed by a Constitution? Is it necessary for a Country to be governed by a Constitution? rated 4.7/5 based on 6 customer reviews. Blackâ€™s Law dictionary defines the constitution as â€œthe fundamental and organic law of a nation or state that establishes the institutions and apparatus of government, defines the scope of governmental sovereign powers, and guarantees individual civil rights and civil liberties.â€ Constitutions are classified as written or unwritten, flexible or rigid. 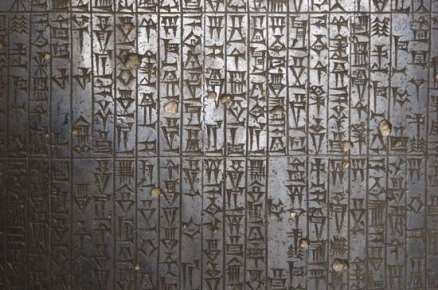 Although ancient laws have always been there, the oldest known constitution which best exemplify the modern constitution is the Code of Hammurabi which was first discovered in 1902 but dates back as far as 1758 BC. The stone monument has the penal laws, the law of persons, family law and price lists engraved on it. 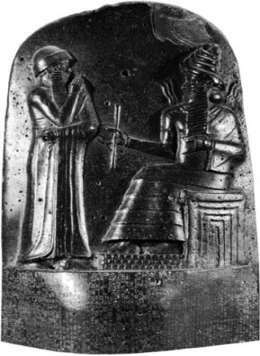 See Appendix 5.1 on the images of the Code of Hammurabi. The Lancaster House Conferences which were around 1953 to 1979 initiated by the British Empire in preparation for its colonies towards Independence drafted Kenyaâ€™s first constitution. Kenyaâ€™s Political Parties and the British Parliament drafted Kenyaâ€™s first Independent Constitution in 1963. In the 1990â€™s international pressure for good governance, institutional reforms, economic decay and social breakdown ushered the formation of the Constitution of Kenya Review Act (2002) to spearhead constitutional reforms. In the end, a referendum was done to adopt the current Constitution on the 4th August 2010. The difference between written and unwritten constitutions. The significance of a constitution to a countryâ€™s development. Constitutions in general provide a normative framework for governance and they take written or unwritten forms. The constitutional principle is entrenched in three sources: usages and customs of the people; values attributed to relevant textual constitutional sources and principles of international law ratified by the state. A constitution is important in the governance and development of a state as it identifies with the ideals and practices of the people, protects their interests and safeguards their rights. In this section we will look at the different perspectives of a written constitution in Kenya and UKâ€™s unwritten constitution. As the future legal minds in Kenya, we have the responsibility of interpreting the law to the masses. To answer questions on why the rights of the poor are still infringed despite the constitutionâ€™s note on equality and why educational resources, infrastructure and other social amenities are different in urbanised areas compared to rural areas? Article 10 of Kenyaâ€™s Constitution on National Values and Principles of Governance which inter alia talks of sustainable development, good governance and protection of the marginalised does not reflect such practices in real life. Despite the setbacks of the current constitution, Kenya still needs a written constitution. The Preamble of Kenyaâ€™s 2010 Constitution outline the objectives of the Constitution as compared to the old constitution which had no preamble. In the Preamble, the constitution identifies with aspects of freedom and justice, ethnic, cultural and religious diversity, equality, democracy and rule of law as the principle factors enshrined in the Supreme Law. The preamble serves as a guideline to the principles that govern the republic. See Appendix 5.2 for the preamble. The Constitution divides powers of different state organs using the doctrine of separation of powers. Chapters Eight, Nine and Ten of the Constitution state the principles, processes, roles and functions of the Legislature, Executive, and Judiciary respectively. The doctrine ensures balance, accountability and no state official misuses the power conferred to him or her. The diversity of the Constitution recognizes and supports laws made by other state organs and general international laws as part of the Laws of Kenya. Article Two of the Constitution allows International laws, treaties and conventions ratified by Kenya to form part of the Laws of Kenya. Chapter Eight describes the establishment and role of Parliament, Senate and Nation Assembly as law making and law conferring bodies. Ethnic communities like the Maasai, Turkana and Samburu in isolated geographical areas experience only marginal participation in the social and economic life of Kenya. The Constitution builds development through recognising and protecting marginalised groups and compensates for previous losses of under development in these areas by affirmative action programs like special education programs, access to employment opportunities, programs to develop cultural values and better social amenities. On the same note, it protects the diversity of different cultures and ethnicities in Kenya by promoting different cultural and linguistic practices of the people of Kenya as seen in Article 44. The Bill of Rights ensures fundamental rights of all the people and not just the citizens of the country. It provides resourceful information on the liberties and rights of each and every individual in Kenya including inalienable rights of human dignity and right not to be held in slavery or forced labour. Dual citizenship in Article Sixteen ensures the security and development of the people and the country through investment, economic and social growth. For example the Maasai who are divided between the borders of Kenya and Tanzania can benefit from this new law and it paves way to better opportunities for the communities living across the borders. An unwritten constitution is based on the norms and customs, values, culture, ideals, historical practices and legal systems that a nation identifies with. In the UK, the constitution is a set of historical documents, statutes, decrees, conventions, ancient customs and royal prerogatives which include the Magna Carta (1215), the Bill of Rights (1689), and the European Communities Act (1972). Parliamentary sovereignty is commonly regarded as the defining principle of the British Constitution.Other countries with unwritten constitution apart from the UK are Israel and New Zealand. New Zealandâ€™s constitution is a reflection of the Constitution Act 1986 that describes its system of government and the Treaty of Waitangi, the founding document of New Zealandâ€™s Government. In unwritten law, the ability of the Common Law to be retroactive in decision making to new situations is outlined as one of its principle strengths. Unwritten laws are not the subjective views of judges but they are determined by legal reasoning. The conventions, rules and norms of the society are under the courtâ€™s jurisdiction to apply. Another point in Britainâ€™s favour for unwritten laws is that the written laws are in broad general terms that are meant to be applicable in a wide variety of situations that by and large do not encompass all the factors or anticipate future occurrences. It is also described as a fair system which is the principle ancient customs of the people as it fits into their nature and disposition by helping in perfection of the Acts of Parliament as their principle constitutional and sovereign law. However, there are downsides to the unwritten constitution as well. The critics claim that the law must be known before its application and unwritten constitutional norms dishonour this principle. For example the Magna Carta is seen as the first foundational text designed to provide written guarantees of fundamental principles which the Common Law utilised and supplemented these principles by case law. It is also viewed as undemocratic because judges are not elected by the public and as members of the elite; their decisions are highly in favour of the rich and undermine the rights of the minority and vulnerable groups. On the same note, Judges being the ones who derive content to unwritten laws are mostly accused of usurping the functions of Parliament as the body responsible for law making. In unwritten constitutions it is difficult to know what the Stateâ€™s constitution really is and it is quicker in making changes to the unwritten constitutions than the written constitutions. This is because written constitutions are considered as a supreme law against which legislature can be examined and amended by elaborate procedures. To sum up, in all aspects a constitution whether written or unwritten is the fundamental principle in the governance of a country towards its development and growth. It defines the state objectives and laws. We have seen the different types of the constitutions and their advantages or disadvantages. In our perspective, the type of constitution used by a country largely depends on social and economic factors as well as the level of development of the people. We feel that for Kenya, the current constitution reflects the need for the people, fosters better development and economic growth and opportunities for Kenyans. On the negative aspects cited, perhaps the antidote is for experts in constitutional law to keep revising and perfecting the laws to make them more adaptable to social change and development. Figure 1 â€“ The Preamble of the Constitution of Kenya 2010 outlines the objectives of the constitution. The 1963 Constitution has no Preamble. Meeting 1: Brainstorming on what is a constitution, different approaches to the question, objectives of the Question, draw an outline for the topic and Summary of Points. Meeting 2: General Research. Each member had to do a general research on the constitution and how it governs a country. Identifying secondary sources in internet search engines and Newspapers on the constitution, identifying examples for comparative analysis. A comparative analysis was done between Kenyaâ€™s written constitution and UKâ€™s unwritten constitution. Developing a hypothesis and formulating an argument by answering the objectives of the question. Duty List: Sub division of duties and activities to be done according to individual strengths. Swabra: Examples, overall content, Research Techniques, Editing, proof reading and final copy of the essay. Meeting 3: Submission of drafts by each member. Verifying validity and reliability of sources and correctness of information: all sources verified for authenticity, currency and authority. References: Checking for consistency with OSCOLA 4th edition. Meeting 4: Critique, Review, Re-editing and Mock Presentation.